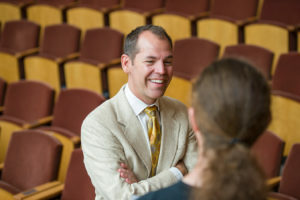 Dr. Dean Southern is Head of the Voice and Opera Division and was recently appointed Director of Opera and the Dorothy P. Schmitt Chair in Opera at the Cleveland Institute of Music. He shares his perspective with CS Music contributor Brad Hougham on this great work that we all love so much! How did Dr. Southern come to teaching? Careers in music are often the result of long, winding journeys, not direct pathways. Dr. Southern’s journey is no exception. Dr. Southern’s first two degrees are in piano performance. He had always loved singing, and entered as piano major at Luther College, where he sang in their choirs, accompanied voice lessons, and eventually took voice lessons, himself. After completing a master’s degree in piano, he continued to sing, briefly journeying through musical theatre before earning a second master’s in voice! After being an apprentice at Santa Fe Opera he began teaching voice and directing operas. Despite having been a pianist who sang for years, he felt like his true calling was to be a voice teacher, and he transitioned to being a singer who played piano. He went on to get his DMA at CIM and returned to teach there in 2012. Where did Dr. Southern learn the fine art of teaching? By the end of his twenties, Dr. Southern had accompanied for hundreds of hours of voice lessons and dozens of singers in recital. He didn’t realize it at the time, but in the role of studio pianist and recital collaborator, he was participating in what he imagines to have been the best possible apprenticeship for a voice teacher. He played in a number of different studios and heard various teachers speak in their own pedagogical language. He learned to listen to singing critically, was introduced to vocal repertoire for all voices, and he also learned how to communicate with singers to inspire growth. There are several trusted resources that Dr. Southern uses in his teaching. One that he mentioned first is Janice Chapman’s Singing and Teaching Singing: A Holistic Approach to Teaching Voice. 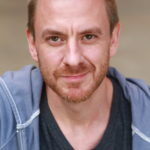 He has an interest in historical vocal pedagogy, and William Shakespeare’s The Art of Singing and Warren Shaw’s The Lost Vocal Art and its Restoration are of particular interest, as is Daniel Shigo’s blog, “Voice Talk: Historical Perspectives on the Art of Singing” (voice-talk.net). Dr. Southern balances these historic perspectives with current research in voice science to reinforce what his ears tell him and to inform his instructional choices. When asked about the qualities of an ideal teacher, Dr. Southern answered, “good ears backed up by good information”. Teachers need to assess the beauty and freedom of each sound, then instantaneously devise a course of action to correct any deficiencies. A voice teacher must have empathy, and maintain and guard the trust of their students. Through these practices, a teacher can create space for students to offer their most artistic, communicative, beautiful, and efficient singing. 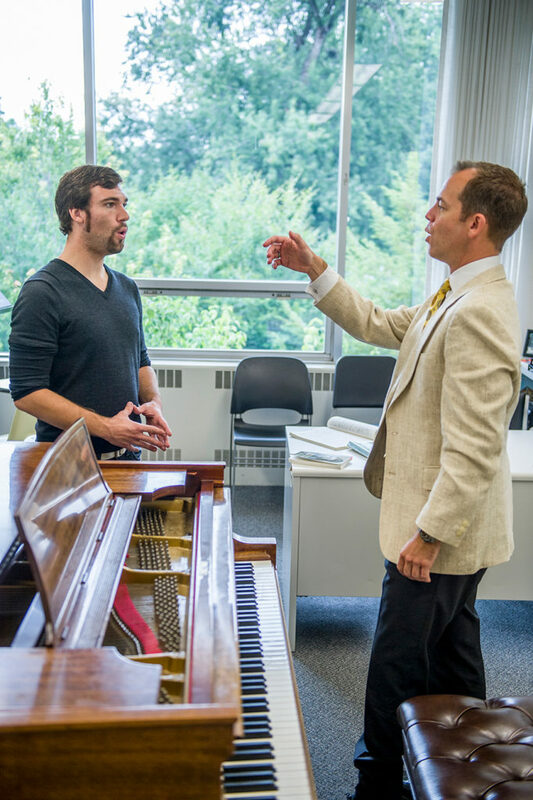 Dr. Southern prizes discipline, intelligence, musicianship, and imagination in his students. A “throat of gold” does not make up for a lack of these qualities. When selecting undergraduates for his studio at Cleveland Institute of Music, he prefers those who have had early musical training, especially on an instrument other than voice, which advantages the student significantly. Potential graduate students need to exhibit emerging mastery of technique, style, and language, since those degree programs are so short. In terms of technical priorities, Dr. Southern finds himself very commonly addressing issues of alignment (especially of the head and neck), breath, and tonal onset. Of course, he says, the ultimate goal is that the technical challenges move to the background so that expressive artistry can come to the fore. Dr. Southern says one of the greatest challenges facing singing students today is the immediacy of the digital age in which we live. He says that becoming an artist is a long-term proposition that requires years of patience, diligence, and intellectual curiosity. Being an artist isn’t about the immediate gratification of getting “likes” on social media, where we often share only idealized versions of ourselves. It is about being genuine, authentic performers who are committed to their texts, music, and instruments. If there is a legacy that Dr. Southern would like to leave with his students upon graduation, it is that they will be independent singers, with a strong sense of their own vocal identity, and a curiosity to keep them growing. Nothing is more satisfying for him than seeing their successes in the years after their work together has been completed. He humbly states that while he cannot take credit for their success, he is very proud to have been a part of their professional and personal journey. 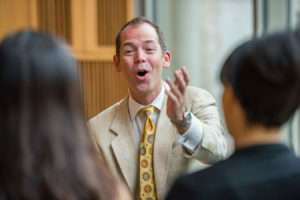 Dr. Southern is available for consultation lessons at CIM, where they have just revamped their curriculum, fortified the opera area, and increased required ensemble options to include vocal chamber music and contemporary opera.